Our excellent student karate suit is made of 100% pure cotton. Soft to the touch and non-abrasive to the skin, made with a flawless loom weave to give a great smooth finish. The jacket is longer than most to stop riding up over the belt. 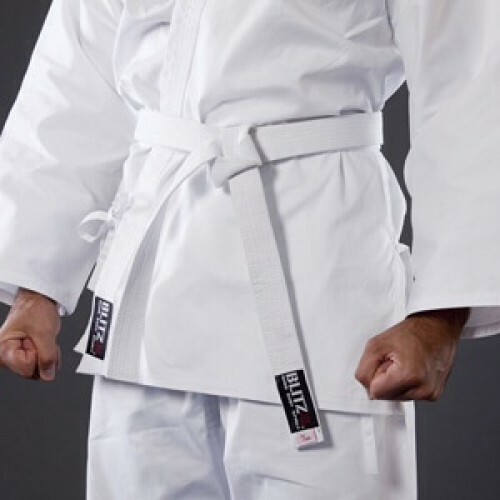 These karate suits are often mistaken for the more expensive quality due to their cut and design. Suits come complete with a white belt.